Holy moly!!!!! It's the 100th EtsyInspired Challenge! I can't believe how far we've come! I need to thankeveryone who plays along because you are all truly what makes it worthwhile. Over the past almost two years, I've had the best design team on the planet. The talent has overwhelmed me! I've made lifelong friends and added a couple dozen aunts for my boys. Alright, enough jibber jabber! This week's challenge is a little different. We STILL have an amazing shop, sponsors and awesome prizes. However, we also have a blog hop. Each and every one of my DT members has a PRIZE on their blog from one of our amazing sponsors! :) So, be sure to leave them ALL some love b/c every blog has a different prize! Our sponsors for this event are Charleston Scrapbook Company, Lawn Fawn Stamps, Limelight Papercrafts, May Arts, Soft Pencil Digital Designs, and Unity Stamp Co.
See this picture? That's over 100 items! That's the GRAND prize for this week! This is all donated from the amazing EtsyInspired DT! 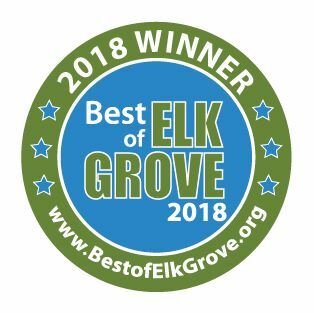 I told you they were the best! You MUST play along with the challenge and follow all rules to be entered to win this awesome prize! And finally I have a GIVEAWAY!!! My amazing friend Kelly Marie is the owner of Lawn Fawn Stamps and she donated this CUTEST stamp set for me to giveaway. It's called Critters in the Sea and it's a must have! This is one of my favorite sets ever! Please leave a comment about EtsyInspired to be entered to win this set! Ooooh ooohh I LOVE THIS CARD!! It's sooo soooo soo beautiful!! The red flower totally POPS!! Yumminess! First of all, CONGRATS on your "baby"-EI Challenge! What an unique and special concept in this paper-carfting world!! I truly enjoyed all the challenges since I found EI about a year ago....and I am so proud to be part of this amazing EI challenge DT. Your card is absolutely stunning!! This is what HANDMADE is all about! Way to go, Ashley!! wow, this is a gorgeous card! Love it. We love you Ash! I'm so glad to be a part of this team, supporting Etsy and crafting with all you fabulous ladies! Thanks for inspiring me and congrats on the continued success of this challenge! Beautiful card! Ahhhh I am so excited for your news! I am sorry I havent been playing as much as usual. Its been a crazy summer as we have been working on our yard, but after everything settles down I will be back for each challenge! :) Thank you for hosting such great inspiration Ashley! Your card couldn't be more beautiful. Love how gorgeous the flower is. Love the red, what a great lot of goodies!!! wow, the color red really shout out loud and the beautiful flower is real stunning! What a fab card. So glad to be a part of a challenge where art inspires more art ... that flower just plain rocks ... fantastic inspired card. I love your card, especially all the layers of the flower, and the colour-way is just perfect. Congratulations on 100 EIC challenges - what a fabulous achievement! I do love EIC!!! Always a great inspirational shop every week! The DT and, of course, Ashley are simply amazing! Um, what happened to "my cards are CRAP, Carole!" Hmmm??? I don't see any crap there, Miss Ashley. I see a very pretty card!!! I love it!! And a big, GIANT!! CONGRATULATIONS on the 2nd anniversary of the Etsy Inspired Challenge! You know it's my very favourite challenge out there and I try my hardest to play it every week and to make sure I promote it and you as much as I possibly can. You are so super sweet (and I mean that from the bottom of my heart) and deserve every ounce of success that follows you. You have the talent and you shouldn't be surprised when people notice it. OMG girl, this card is AMAZING! I love that flower and I am a huge fan of red and it all came together beautifully and is an awesome expression of that pendant! And a big THANK YOU for creating this challenge and putting your trust in me to help support you and the challenge! It's an honor to be on your team! It's awesome to see what your concept has become and to be a part of it and to call you a friend! BIG HUGS! What a great card. Love the red and white comob. Very striking. Well, first I love your card, the brightness of it, second, love that Lawn Fawn set and third, I love playing along with EIC. I usually turn to this challenge first when I'm stuck or my desire to make a card is lacking. This for keeping it going! Congrats on the 100th EIC challenge!! This is such a unique concept--I love playing along with ART inspiring ART. Thanks for doing this~I always love being inspired by Etsy!! Pretty, love the large blossom! Thie card is beautiful. Love the that flower and the sentiment is just perfect for the 100th challenge. WOW! There is alot of goodies to celebrate this challenge. I'm so glad to have found this challenge and all the amazing girls and DT! I look forward to this challenge every week and all the amazing and inspiring eye candy. Wow! I LOVE your card!! And the inspiration piece is to die for! Thank you for sharing them with us! Loving your card - it's really great! I love everything about the Etsy Challenge blog. I also love your card. The flower is fantastic! It makes me want to dig out my same flower stamp and get working. Love it so much! I love how the flower pops! pretty card! Love the card! I'm new to Etsy Inspired (I've only played in a few challenges) but I find them to be the most inspiring and the most likely to stretch my creativity! Thanks for a fabulous challenge blog! Ashley your card is gorgeous! I love the big red flower! Beautiful!! Your card is so cute...I love it! Congratulations on such great success with the Etsy Inspired Challenge! I don't get to play as often as I'd like, but it's a great site and so much fun! Beautiful card, too! I love the deep colors and the patterned papers you chose for the flower--just gorgeous! HI Ashley, I just found your blog through the EIC challenges. I don't always get to play, but I look forward to it every week. 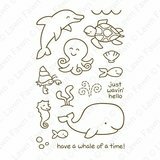 Just found out about Lawn Fawn Stamps too - her images are adorable! Thanks for the chance to win! I love your monochromatic card - it is in my favorite color! The stickles are the perfect touch too. Love the card...its just so beautiful!! Wow! Spectacular card Ashley! Absolutely beautiful and stunning! Congrats on your 100th Challenge!!! Congratulations Ashley! It's quite a milestone you have managed and it's such a wonderful challenge. Thank you so much for the invitation to join your fabby team this month! love love love this card Ashley, gorgeous! This is my very first visit to your blog! I love your card!! That bright red is such a passionate color. And, that fabulous, oversized flower is fantastic! Of course the word "love" is always great! I REALLY love this card, and if this is what you have to show...I'll be back! I also enjoyed learning about the birth of this challenge! Your card is stunning, I love the toile!! Congrats on the big 100 AND DT news! Looking forward to seeing all the DTs blogs! I love the idea of Etsy Inspired. I've played several times! It's fun! Thanks for a chance to win!!! P.S. I love your red card! Very striking! OH MY GOSH! I just love love love this card! Such lush colors:) That flower is SUPER pretty! HOOORAY for the 100th challenge;) CONGRATS!! I love being on this team--and working with you:) You are the BEST! You deserve a big round of applause for starting and maintaining the EIC. It's a great concept and I always enjoy seeing the art from the different etsy stores, not to mention the great work for the DT every week. Happy 100th Etsy-Inspired!!! Great card with such a big flower!! Love the red!! what a gorgeous card! the red with all the white... lovely! OMG, I LOVE YOUR CARD!!!!! That red is just totally fabulous! Beautiful creation and inspiration choices! Wow, Ashley, I had no idea you are THE "EIC" creator -- I've recently been stumbling upon them and thing the marriage that you created between small personal businesses and beautiful card creations is divine. Go EIC! And that flower card - I LOVE IT - what Hero stamp did you use? It's gorgeous! 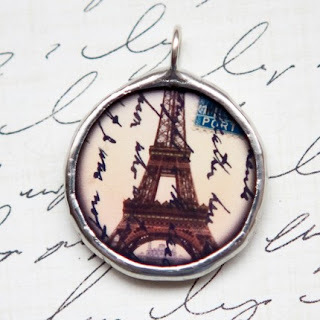 WOW - I just started surfing the etsy-inspired blogs and they are fantastic. Congrats on your "baby." Love your card and all the inspiration. Beautiful card, Ashley! I love that you go to Etsy for your inspiration-so true that we need to support our fellow crafters and small businesses! Love this Lawn Fawn set, too-it's on my LF wish list! Beautiful card! I love the brilliant red. Beautiful! Love the red! Thanks for sharing! Congrats on your 100th challenge!! I love the concept of your challenge and have found many wonderful etsy companies! I don't play every week but I do find time to stop and visit each site you feature! Congrats on 100 challenges/2 years. What an amazing accomplishment!!! Your card is beautiful and the flower is stunning!!! L O V E your card--fantastic. congrats on having reached 100, that's fantastic. This is beautiful! I love the large red flower aNd the simplicity of the sentiment love. Thanks for inspiring! Love your card. The red just pops and I adore your flower!!!! Congrats on #100. I was so happy to have found this blog site and have tried to participate in every weekly challenge since.... LOVE IT!!!! wow- i just love your card- this great red here is so inspirational and thanks for the great hop too!! And congratulations on your huge milestone! I must admit that I NEVER visited any Etsy shops till I found your challenges! Look forward to the next 100! amazing blog!and a super cute card!! Congrats on the 100 challeges!! I love your card! Thank you so much for all the hard work you and your team put into this site! I am new here but already I am in love! I love that you use art to inspire art what a wonderful idea! Thank you for letting me play along! Congrats, Ashley on the Guest DT for SFYTT! Your card is beautiful, love that monochromatic look with the red and white. Very elegant! Oh my.....I love love love love love that card!!!!!!! EIC has come sooooo far. I am so grateful that I got to be part of it at the very start! You've totally rocked this challenge team girl!!!! Oh wow! Love your card and the red really pops! Love that lawn fawn set!!! Congrats on 100!!!! absolutely gorgeous card & fab inspiration too! hugs! 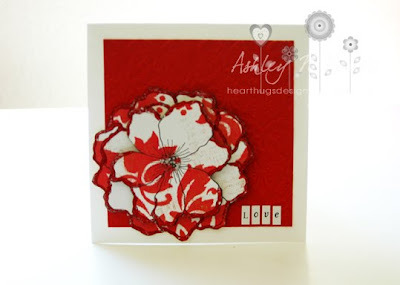 Love the red, white combo of your card Ashley! So eye catching! Congratulations on a 100 challenges! What a beautiful card. Gorgeous card! 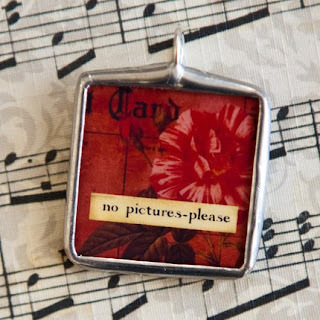 Great take on the inspiration pendant! Oh Ashley, congratulations on 100 challenges! I love inspiration challenges!! Love your card, so pretty! Wow! I love that big bold red flower! Wowza, this is a stunner, Ashley! I have done Etsy inspired this entire summer. I never knew about Etsy until I found this challenge blog. It's really opened my eyes to all the talent that is out there. Thanks for the chance to win some fun stamps. OOohhhh what a wonderful LOVEly card...love this big red flower on it! Very great work. Such a beautiful card. The combo of the big flower with the red and white is very striking! Wow, could your work be any more amazing!! For the Etsy Inspired card - the bold red and white looks both beautiful and classy. Great flower for the focal point. your card is just fabulous!! thank you for inspiration :) it was really fun to join this challenge!! Your work is so fabulous!!! What a gorgeous card for the big 100th celebration!! I love the EIC blog...sooo fun!!! Thanks for the inspiration!! God Bless! Gorgeous card! Love the Etsy challenges, it's so fun seeing all of the different Etsy shops!